Undead Labs announced that their zombie survival game, State of Decay, reached an important milestone today. To be precise, the game sold 2 million copies since it’s release in June 2013 for Xbox 360 and September 2013 on PC. The developer states that the two million mark was reached by putting together the sales from XBLA and Steam, without considering the DLC. What makes this event more overwhealming for Undead Labs is that State of Decay managed to sell this much without any marketing or advertising. The developers express their gratitude towards the fans, who contributed to this success through playing, streaming their gameplay and spreading the word. This shows the power of platforms such as YouTube, Twitch, or whatever else gamers are using to stream content. State of Decay is not the first game and clearly not the last game that manages to become popular only through the community’s contribution. And speaking of community, it would be a great thing if big publishers followed this model too. Instead of spending a lot of money on advertising, just interact with your players and encourage them to stream their gameplays (as opposed to taking down their videos for copyright infringement).It would probably increase sales a lot. Considering that Undead Labs offered freebies and special features before, when State of Decay reached five hundred thousand and one million sold copies respectively, it is expected (and announced) that they will do the same now as well. Undead Labs didn’t say what they are going to offer players this time, but they gave everyone a heads up to check their Twitter and Facebook pages for extra news that are coming soon. According to the developer, they are starting a ‘month long celebration’ today. 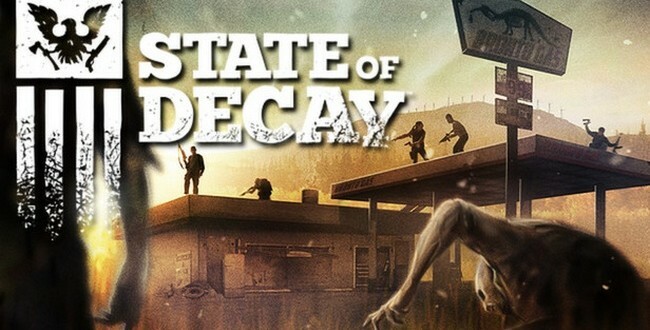 In Spring 2015, Undead Labs will release the Xbox One version of State of Decay, titled “Year One Survival Edition”, which will contain improved visuals, additional content and refined user interface. I'm a journalism graduate and an occasional gamer. As a kid I used to own a NES clone called "Terminator 2", which was hugely popular in my country. I like old school games and adventure games but I occasionaly play RPG's and Shooters as well, though I wouldn't call myself an expert at these kinds of games. When I'm not writing or playing games I prefer reading detective or fantasy novels.